I think Mirage Castle looks absolutely stunning, this cut is just amazing. Honestly If I had to guess who made this print without knowing I would of probably thought it was baby or aatp. Can't wait to see which other colorways it will come in, I think it can look really different depending on the color. 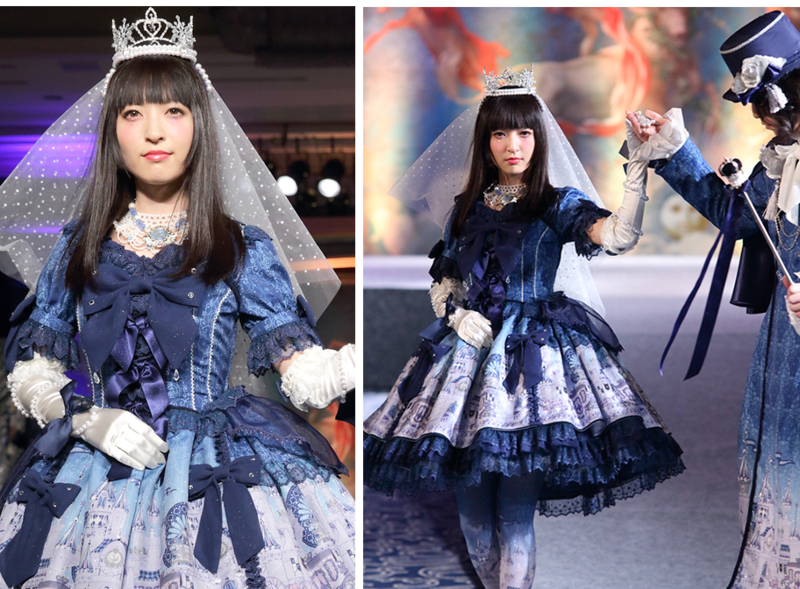 Also high hopes are on Angelic Pretty to release the men's wear also, but I think it might just of been made for the show. Though it would be amazing if they started doing more boy style clothing! 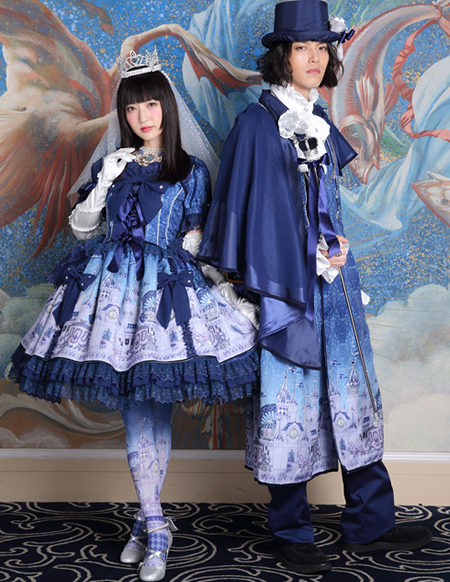 This look is surprisingly ega rather than ouji.